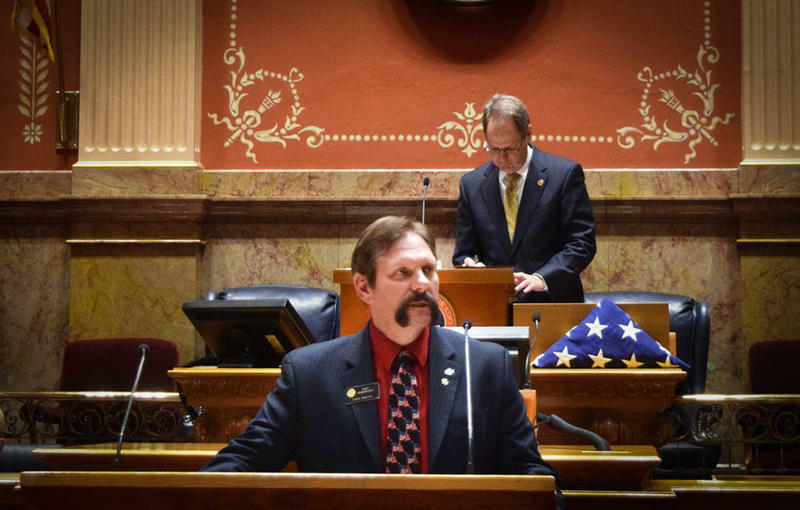 Sen. Randy Baumgardner on the Senate floor, March 13, 2016. Baumgardner has had a formal sexual harassment complaint filed against him for alledgedly grabbing and slapping a former legislative aide on the buttocks. A former legislative aide has filed a sexual harassment complaint against Republican state Sen. Randy Baumgardner for inappropriately touching her. The woman alleges that Baumgardner of Hot Sulphur Springs slapped and grabbed her buttocks about four times over a three month period during the 2016 legislative session when she worked at the State Capitol. She alleges that each incident happened inside the Capitol building during her workday, often while she was walking through a corridor next to the Senate Chamber. She wishes to remain anonymous out of fear of retribution. The formal process allows the complaint to remain private. She said the incidents were embarrassing and she didn’t tell her supervisors, but did tell two people who also worked at the Capitol at that time. But when we reported on Nov. 16 that a separate woman, intern Megan Creeden, allegedly had many uncomfortable encounters with Baumgardner during the 2016 legislative session, she said she was outraged and decided to file a formal complaint. Baumgardner addressed the allegations in an emailed statement to us. Republican Senate President Kevin Grantham referred back to an earlier written statement in which he said he would not respond to unsubstantiated or anonymous allegations against members appearing in the press. He said those who feel they have been victims should file an official complaint. “This process exists to protect confidentiality, respect the rights of both accuser and accused, rigorously review the facts, give a fair hearing to all sides, and impose penalties proportionate to any confirmed offense,” said Grantham in the statement. Creeden said she has not decided whether to file a formal complaint. She alleges that Baumgardner often pressured her to drink with him alone in his office even though she didn’t know him. She also alleges that he publicly said in a crowded Senate committee hearing room that he was disappointed she had not gone home with him after seeing her at a previous social event. “I think that was more of a weird red flag. That he was so comfortable saying that to me, at the time I was 24 [years old] and I’m small so I look younger. To think that it’s appropriate enough to say in front of other people,” said Creeden. On Nov. 10 we first reported that nine legislators, staffers and lobbyists alleged that Rep. Steve Lebsock, a Democrat running for state treasurer, harassed, intimidated or made unwanted sexual advances against them. Two other women have since come forward publicly. And two, Democratic Rep. Faith Winter and former lobbyist Holly Tarry, have filed formal complaints against Lebsock. 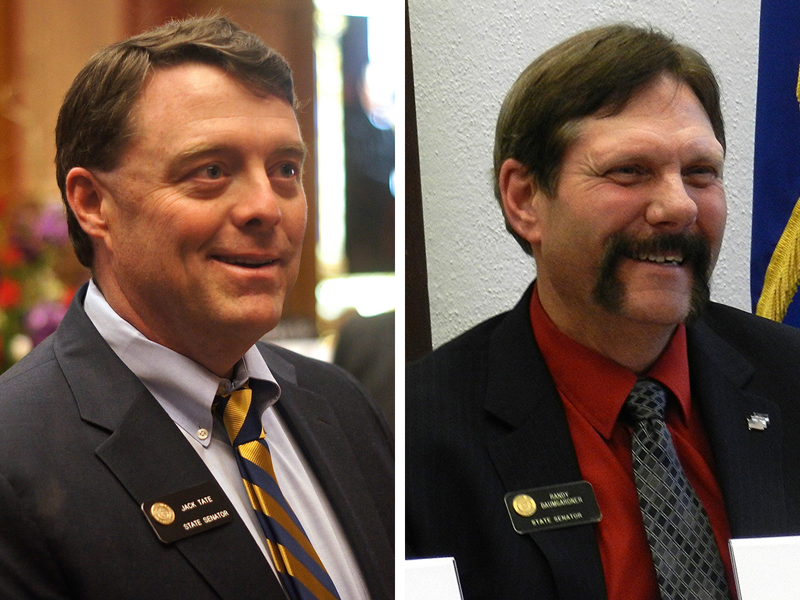 The governor and speaker of the house have called for his resignation. Lebsock said he would make an announcement about his political future on Nov. 30. Legislative leaders are meeting in December to review the workplace harassment policies for the general assembly. New claims of sexual harassment have been brought up at the Colorado legislature involving Sens. Randy Baumgardner and Jack Tate. Both, in comments to us, strongly deny any wrongdoing, although they refused to answer our specific questions directly. Megan Creeden, an intern who was 25 at the time, told us she had uncomfortable encounters with Baumgardner during the 2016 legislative session. She said Baumgardner pressured her to drink with him in his office and she didn’t want to be with him in his office alone because she didn’t know him. 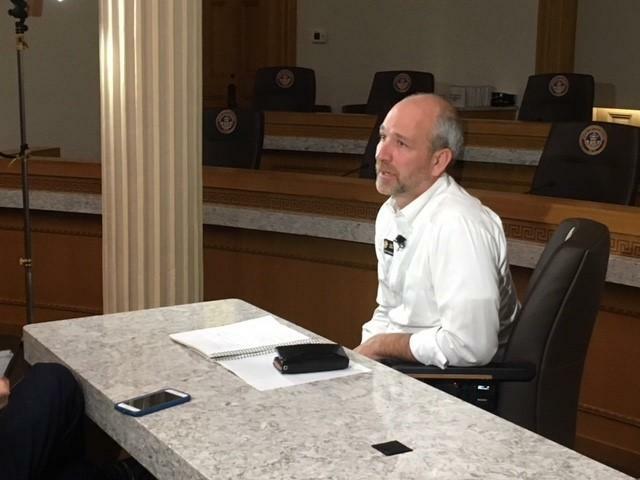 On Tuesday state Rep. Steve Lebsock went on the offensive regarding the sexual harassment allegations against him, claiming he was being blackmailed in an effort to force him to resign his House seat. “This is a story about blackmail and coercion and extortion, is what this is,” he said.